Carmelo Anthony has had an incredible basketball career. As a freshman at Syracuse University in 2003, he led his team to victory in the national championship game. Next Carmelo joined the National Basketball Association's (NBA) Denver Nuggets for the 2003-2004 season. As one of the best scorers in basketball, he helped turn the Nuggets into a winning team. 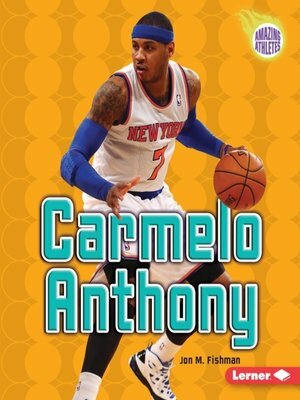 Carmelo loves playing in front of his hometown fans after being traded to the New York Knicks during the 2010-2011 season. Learn more about one of the NBA's biggest stars.